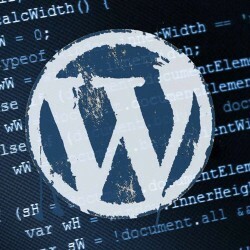 Create new document at 300ppi measuring 550px height and 800px width. Create a new layer and choose the Elliptical Marquee Tool (M). In the style drop-down menu in the options bar choose Fixed Size. Enter 112 in the Width box and 33.6px in the Height box. Double-click on the foreground color swatch in the toolbar to bring up the Color Picker. 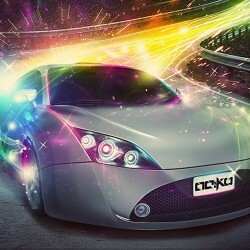 Select #f8ebce as your foreground color. Choose the Paint Bucket Tool (G) and click to fill inside the marquee. Create a new layer. Choose the Rectangular Marquee and select fixed size from the style drop-down menu. Enter 112px as the Width again and 274,4px in the Height box. Click in the document, and then place your cursor inside the marquee and drag it to position it as we have done, below the ellipse we just created. 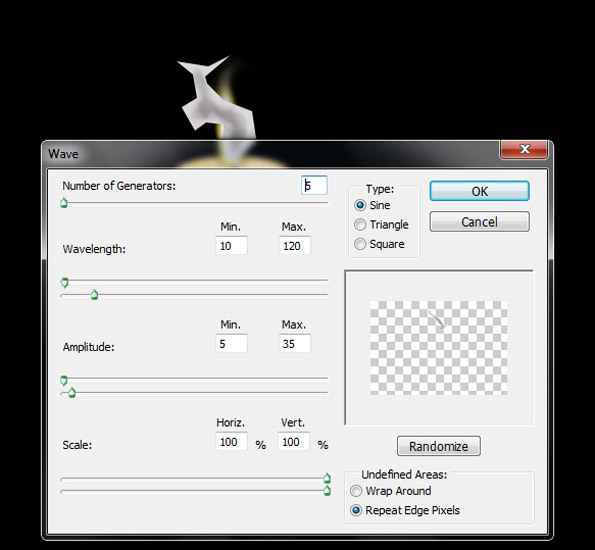 Choose the Gradient Tool (G) from the toolbar. 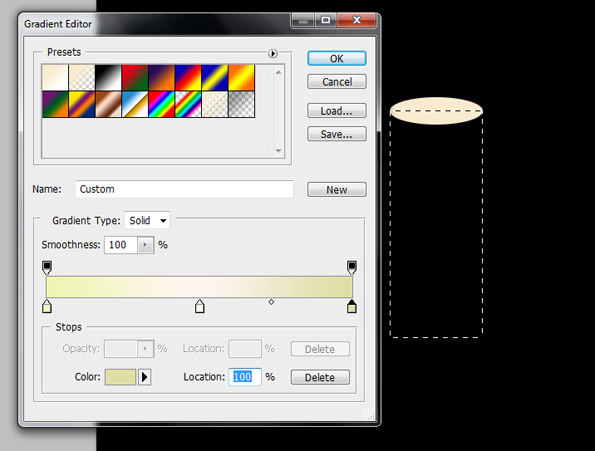 Click the Gradient swatch in the Options bar and then choose a preset with three colors. Click the first stop and click the color swatch. Now enter #eff4b2 and hit OK. repeat this method of setting the color for the middle stop, but enter #fcf6ee. Click on the third stop and then the color swatch and enter #dfa6ee. Click OK to accept your gradient’s colors. If you do not want to create gradient like my gradient, you can download my Photoshop gradient file and applying to yours. Click in the left of the marquee and drag right to fill with the gradient. 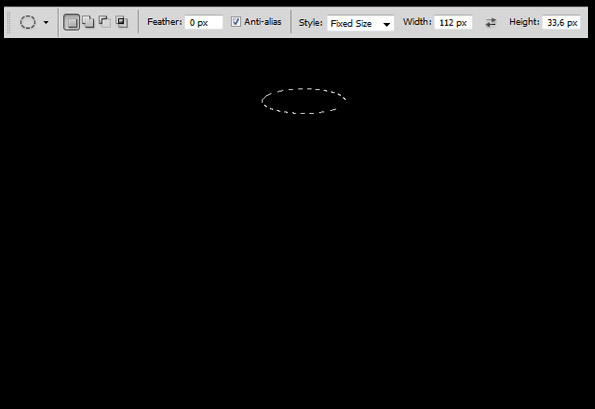 Check the top ellipse layer is above the side rectangular shape in the layers palette. 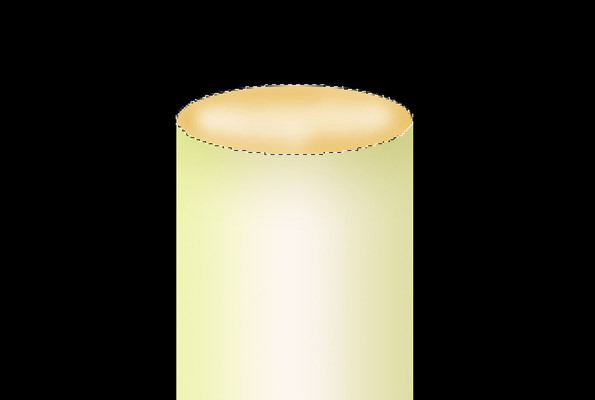 Now we create a curved candle bottom, first add new layer behind the rectangular layer. Create selection as we did in Step 1 and then fill the layer with the gradient we have created in Step 4. 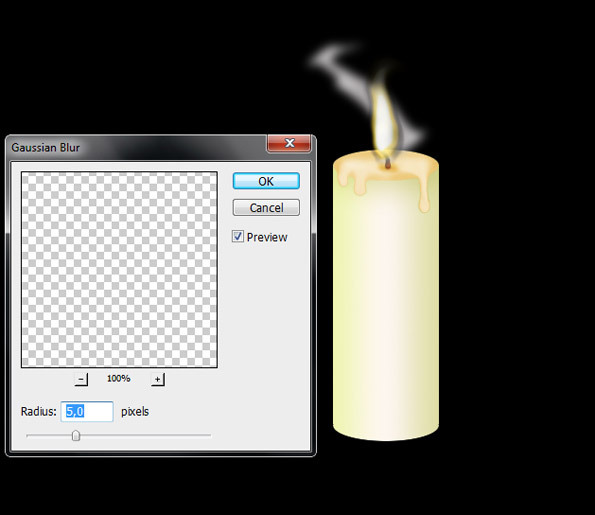 Double-click top side of the candle layer to bring up Layer Style window. Click on Drop Shadow and choose the color #d9da95 by clicking the color swatch. Enter a Distance of 2px, Spread of 20%, and size of 40px and click OK. Select all layer except the background and merge them together. 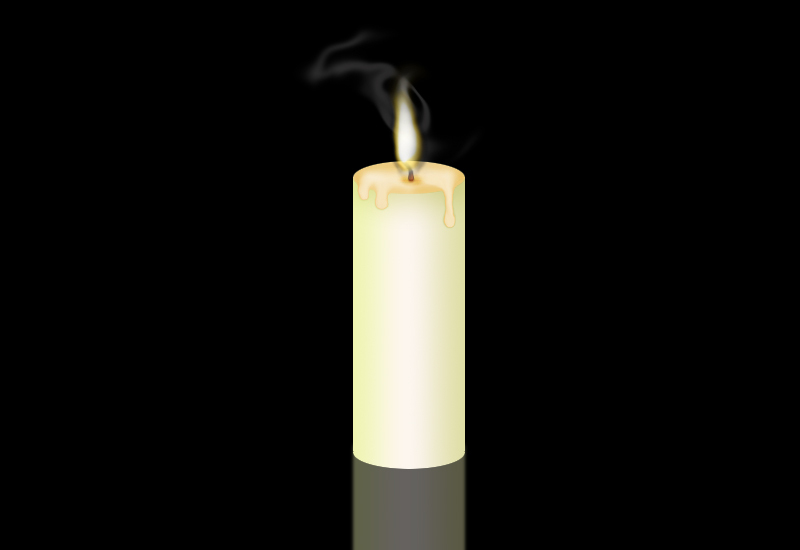 Rename the merged layer with ‘candle body’. 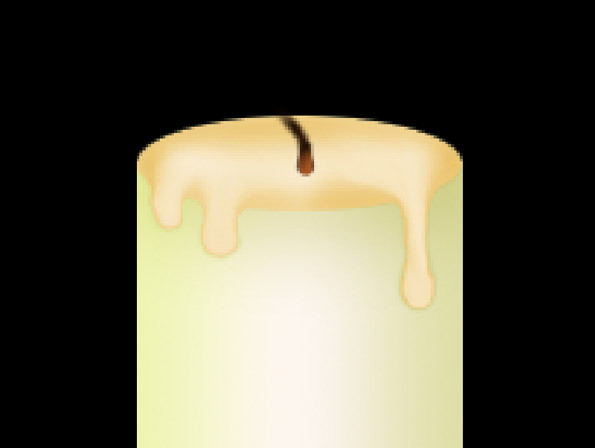 Create selection as we did in Step 1 and choose the Burn Tool (O).Go around the edge of the top of the candle, giving it more shape. 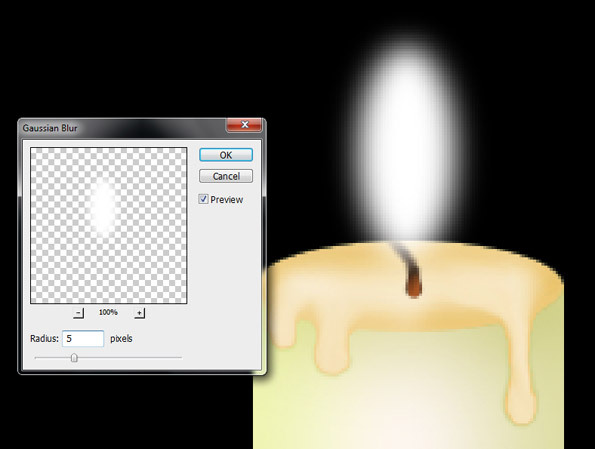 Use the Dodge Tool (O) to go over areas of the center of the candle’s top to create highlight. Use the Rectangular Marquee Tool (M) with the Style set to Normal. Select just the top section of the candle. 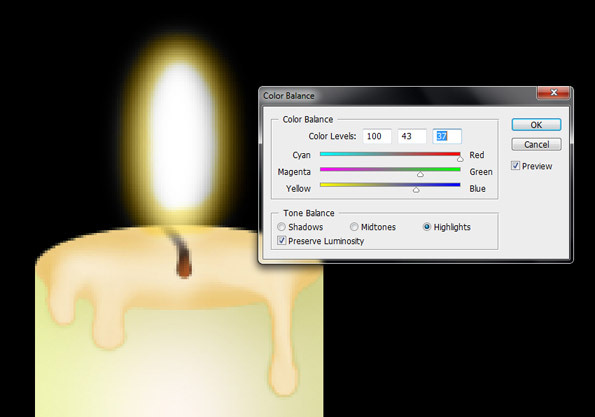 Make sure you have the Candle Body layer selected. Choose Filter > Liquify. 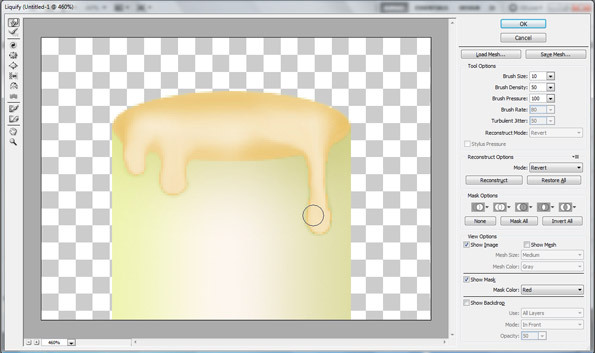 Use the Forward Warp Tool (W) set to a Brush size of 10 to drag downwards, creating drips. Push in at the top sides, giving the drips shape. Hit OK. Create a new layer and name it ‘wick’. Choose the Brush Tool, with the colour set to dark brown. Set Hardness to 10% and Size to 14px. 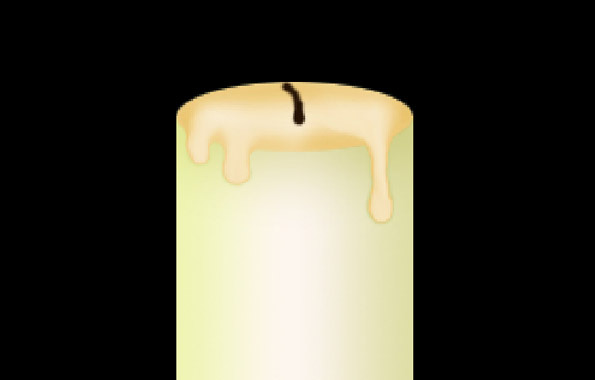 Draw a slightly curved line for the wick. Choose the Rectangular Marquee Tool (M). Select just the top end of the wick. 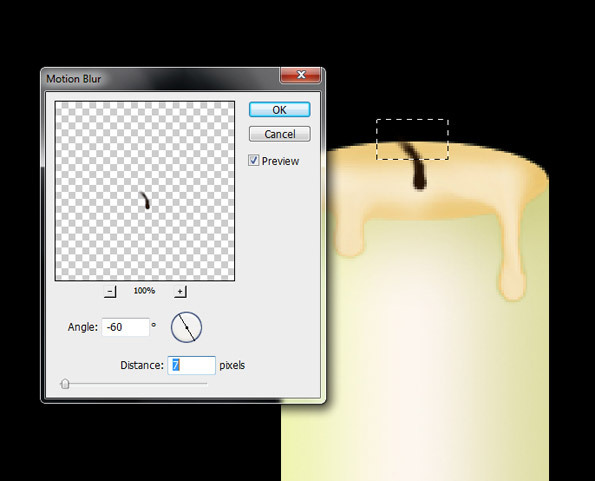 Choose Filter > Blur > Motion Blur and set Angle to -60 and Amount to 7 pixels. Use the Liquify Filter in the same way as with the drips in order to curve it slightly at the top. Ctrl+click on the wick layer thumbnail to select it. 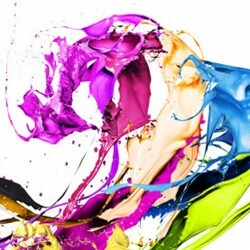 Choose the color #c0612b from the Color Picker. 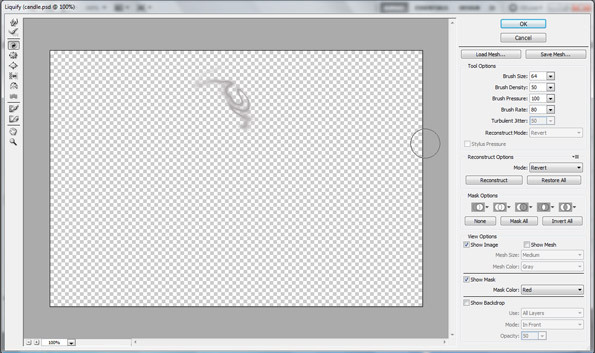 Click the wick layer and choose the Brush Tool (B). Paint onto the lower end of the wick selection with the reddish color. Click the Smudge Tool and use it to blend the join between the two colors. 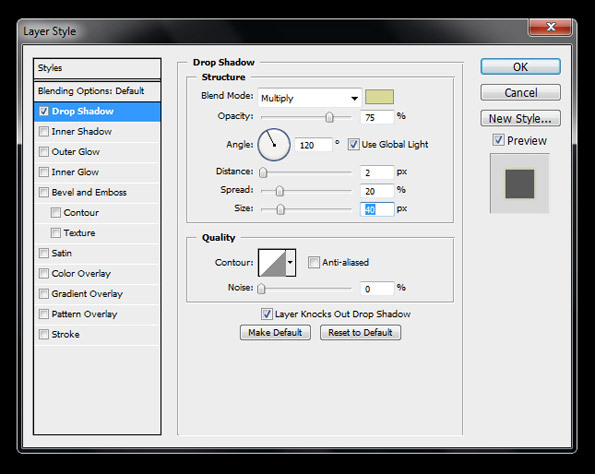 Choose the Elliptical Marquee Tool (M) and set Style to Normal. Now create a new layer. Drag out an elongated ellipse the same shape as ours, for the flame. 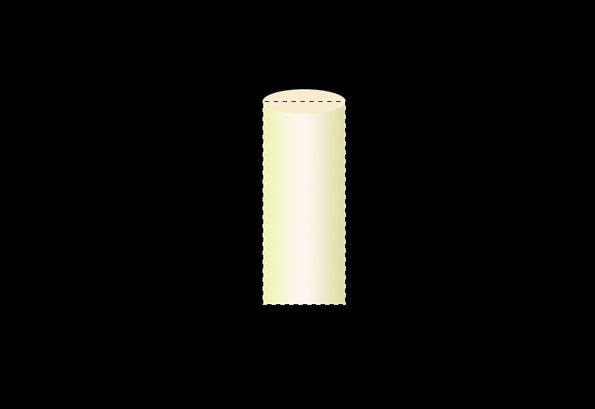 Click inside the marquee and drag to place it at the top of the wick. Choose white as your foreground color and then use the Paint Bucket Tool (G) and click to fill it. Click outside the marquee with the Elliptical Marquee Tool (M). Go to Blur > Gaussian Blur, set Radius at 5px. Pick the Brush Tool (B). Set the foreground color to black on a Size of 10, Opacity of 10% and Flow of 50%. Go lightly around the edge of the flame, adding shade. Select the flame layer in the palette. Choose Image > Adjustments > Color Balance. Check that Midtones is selected as the Tone Balance. Enter 84 in the first box, 51 in the second and -100 in the third. Choose Shadows and enter 61, 39 and -88. For Highlights enter 100, 43 and 37. These can be adjusted for different flame colors. 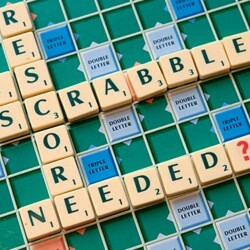 Pick the Rectangular Marquee with a Feather of 30. Select the top of the flame. Choose an Angle of 90 and an Amount of 70. 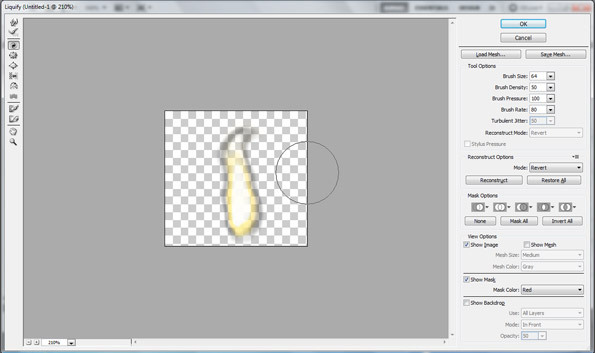 Hit OK to blur the top of your flame slightly more. 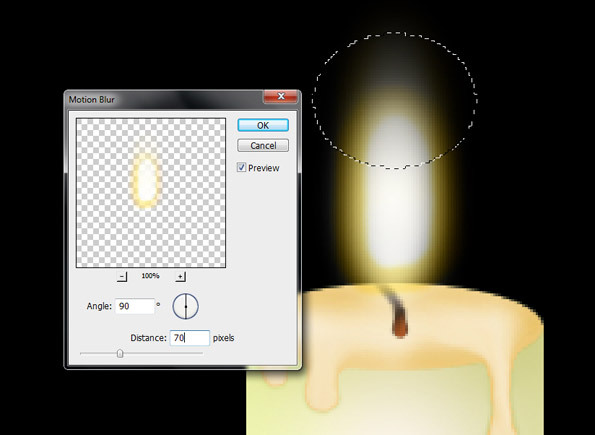 You can erase parts of the bottom of the flame using a low opacity brush so the wick shows through slightly. Use the Rectangular Marquee to select just the flame and make sure you’re on the flame layer. Choose Filter > Liquify. 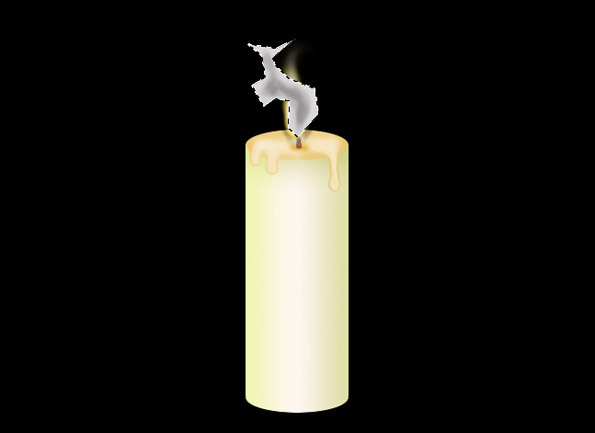 Choose the Twirl Clockwise Tool (C) and click on your flame while moving up to see it twisted and distorted. 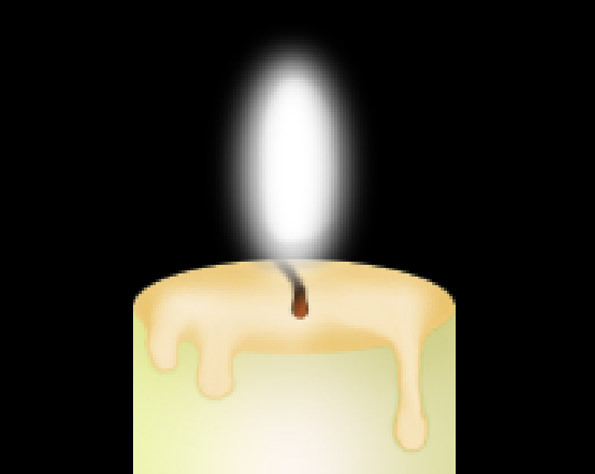 Click OK and your flame will appear to be blowing in the wind. Create a new layer for for the smoke. Select the Polygonal Lasso Tool (L) and mark out a shape similar to ours. Fill it with a light gray. Use the Dodge Tool (O) to add highlights to the edge of the shape and Burn Tool (O) to go over the middle areas and make them a touch darker. Choose Filter > Distort > Wave. Enter 5 into the Generators box. Enter Wavelengths of 10 and 120, Amplitudes of 5 and 35 and enter 100% in both of the Scale boxes. Now go to Filter > Blur > Gaussian Blur, enter 5 pixels as the radius and hit OK.
Run Liquify filter again. Select Filter > Liquify, choose the Twirl Clockwise Tool (C) and click on your smoke to see it twisted and distorted. 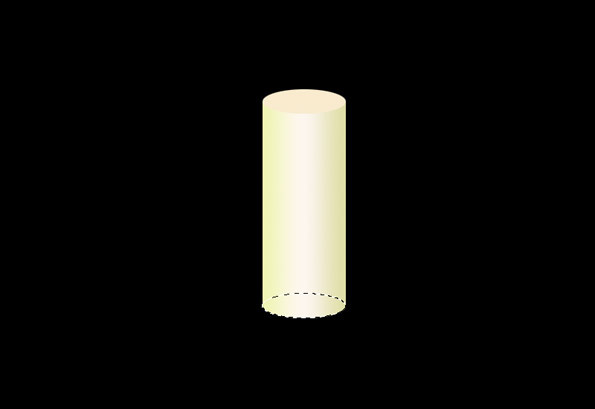 Duplicate candle body layer. Pick the duplicated layer and then Edit > Transform > Flip Vertical. 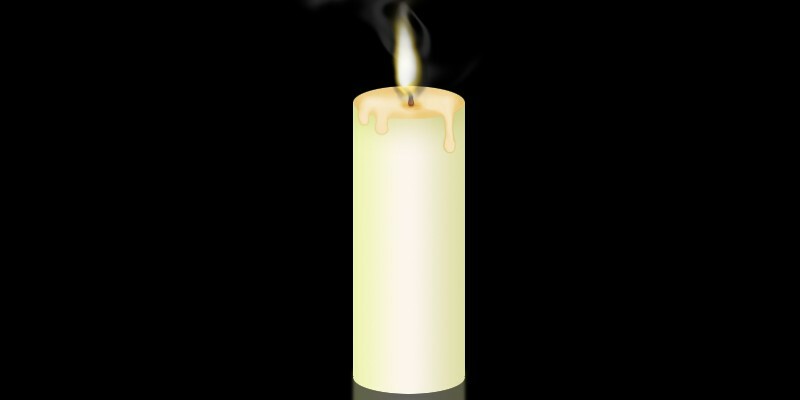 Put the reflected candles below the others, with their blending mode on Normal and opacity at 40%. 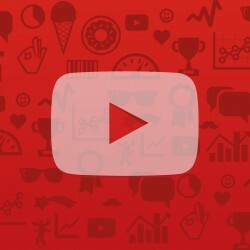 Apply a Gaussian Blur with Amount on 1.5px. 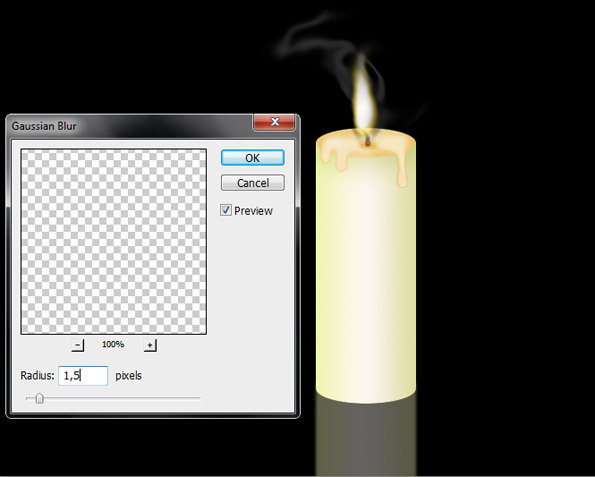 This is our burning candle final image, I hope you enjoy this tutorial, please subscribe to Grafisia RSS feed or simply share this tutorial to your friends. nice, clever tehniques, maybe it would be great if use fire images from stock.. Thanks for your tut! Till step 15 it works fine with Photoshop Elements too. I tried the rest by my own. It looks ok. ^^ But much thanks for the idea. ‘Liquify’ is so simple and it looks great. wow und Danke für das schönen Tutorial.